Are you looking for that perfect holiday deal? Well look no further. Our range of tours, guided trips and holiday package deals across Australia and New Zealand provide you everything you need to experience the holiday of a lifetime. No matter how you want to see these incredible places, we’ve got what you’re looking for. Our range of holiday deals, packages and offers give you an array of travel opportunities you’ll find hard to resist. With trips throughout Australia and New Zealand, browse below for all our latest exclusive deals and book yourself an unforgettable holiday today! Have you been on an AAT Kings vacation or Inspiring Journey before? Membership into the Kings Club is complimentary. Just let us know the details of last tour at the time of booking. As part of the extensive Travel Corporation family, we are delighted to extend the TTC Loyalty Discount to past guests of our sister brands including Trafalgar, Insight Vacations, Uniworld and more. This is your one-stop shop for our current last minute deals across Australia and New Zealand. Spectacular destinations at unbelievable prices! Don’t wait - these offers won’t last long. Instead of booking individual tours, why not buy an AAT Kings Sightseeing Pass and save! 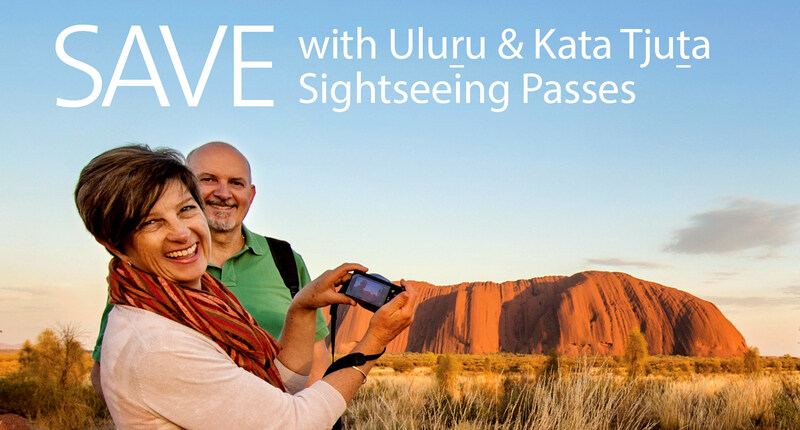 Plus, your Uluru – Kata Tjuta National Park Entry Fee ticket is included in the price of the Pass. You could even add on a day tour to Kings Canyon. Uluru Sacred Sites & Sunset. Kata Tjuta Sunrise & Valley of the Winds. Purchase a Sightsee ‘n’ Save Pass before you go and save up to 35% on over 60 selected Day Tours. Exclusive to overseas visitors, this pass can only be purchased prior to arrival in Australia, each pass contains 4 coupons. *conditions apply. Prices above are for departures between 1 April 2018 - 31 March 2019. Child Prices: apply to children 2 to 15 years inclusive. Save 10% on Day Tours when purchased at the same time as an AAT Kings Guided Vacation. *2nd vacation discount applies to AAT Kings operated Guided Vacations (First Choice, Best Buy) & Inspiring Journey. Vacations must be booked at the same time and the discount is per person off the Land Only portion of the vacation with the shortest duration. ^Discounts apply only to the land component of AAT Kings operated day tour (do not apply to third party operated day tours). Children 2 to 15 years of age are entitled to child prices on half an one day Day Tours as well as on Short Breaks that include overnight accommodation (tent/hotel) when sharing with at least one adult (unless stipulated otherwise). Only one young traveler discount is applicable per room. Infants up to and including 1 year old are free of charge. Children on AAT Kings Guided Vacations: Child rates apply to children aged 6 to 15 years inclusive. * View relevant pricing on each tour page. We can also tailor an itinerary^ for you and your group. For specialised group bookings (15 people or more) email: groups@aatkings.com.au. Seeing Australia and New Zealand doesn’t have to cost the Earth. Book your next vacation with AAT Kings and take advantage of our fantastic discounts and experience real value for money. Check out the table below to see the discounts that can be combined. 1. Early bird savings apply only to the land component of the vacation, for departures from 01 April 2019 to 31 March 2020 and 01 January 2019 to 31 March 2020 for Tasmania, Queensland and New Zealand vacations. They do not apply to pre or post accommodations, vacations incorporating rail or cruise components, or third party operated vacations/day tours. 2. Kings Club Past Guest Discount – one discount will be available per person, per Guided Vacation. You must have travelled with us before you can redeem the discount. Please advise previous tour details at time of booking. 3. 2nd vacation discount applies to AAT Kings operated Guided Vacations (First Choice, Best Buys) & Inspiring Journeys. Vacations must be booked at the same time and the discount is per person off the Land Only portion of the vacation with the shortest duration. 4. The triple share discount is available when 3 guests share a twin or double room with an extra bed (foldaway, sofabed or rollaway). Triple share is not available at all hotels. 5. Travelling alone discount applies only to AAT Kings operated Guided Vacations (First Choice, Best Buys). It does not apply to Inspiring Journeys and Short Breaks. 6. Group Travel option applies only to AAT Kings operated vacations. Please refer to "Combining Discounts" section above or call AAT Kings for a full list of which discounts can be combined.